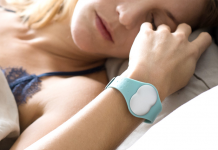 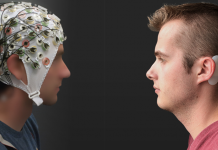 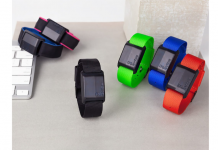 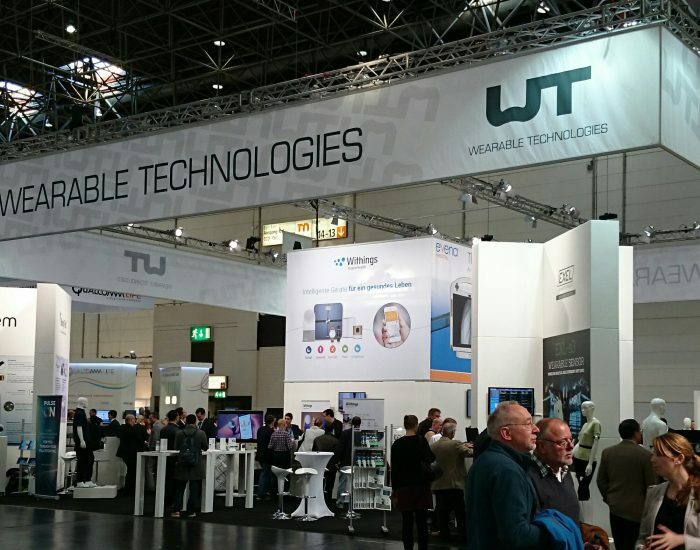 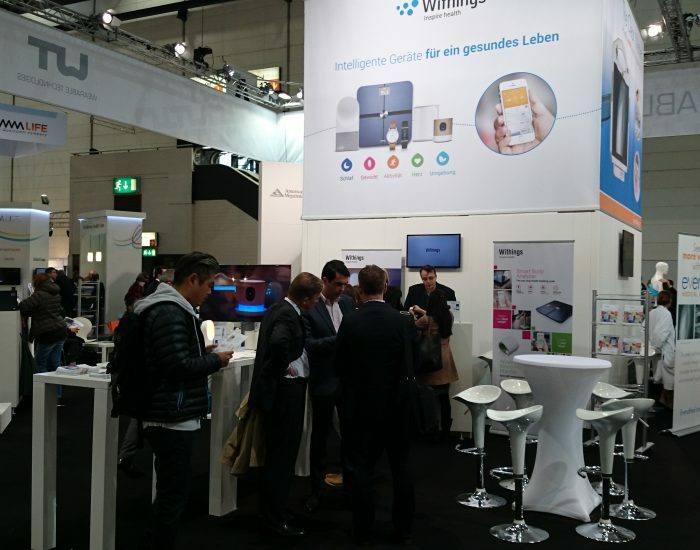 This growing the number of exhibitors of the WT I Wearable Technologies Show reported having made altogether more than 10.000 qualified leads during the four tradeshow days in the well visited in Hall 15. 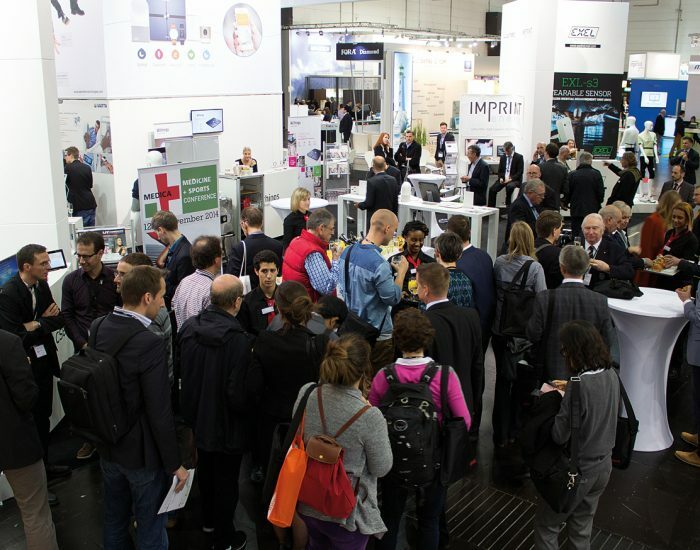 The first day of MEDICA, the largest international medical trade show in the world, kicked off Wednesday morning in Dusseldorf. 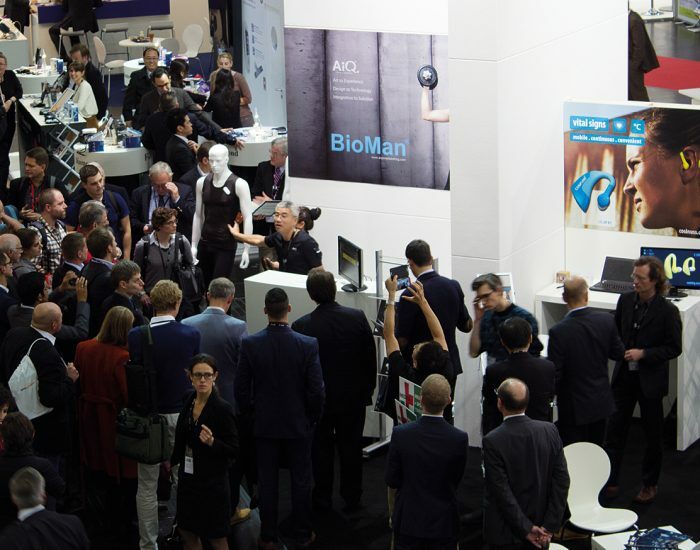 Seventeen massive halls were filled to capacity with attendees exchanging ideas, breakthrough technologies, and questions regarding the future of healthcare. 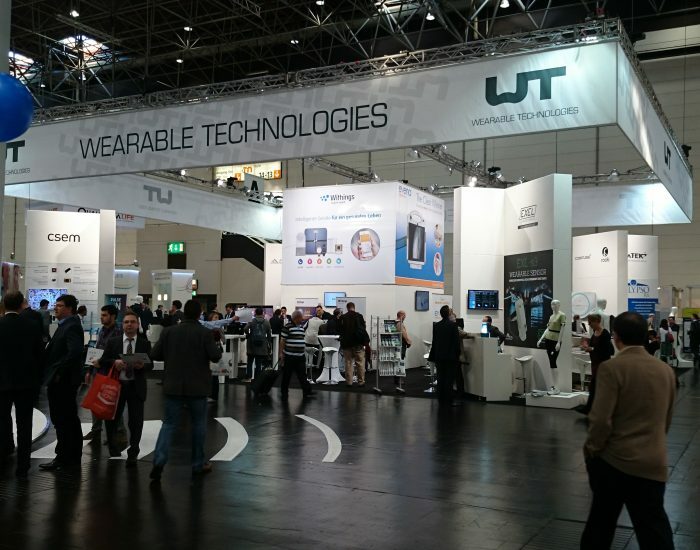 At the Connected Healthcare Forum next to the WT booth the conversation revolved around the game-changing potential of wearable technology. 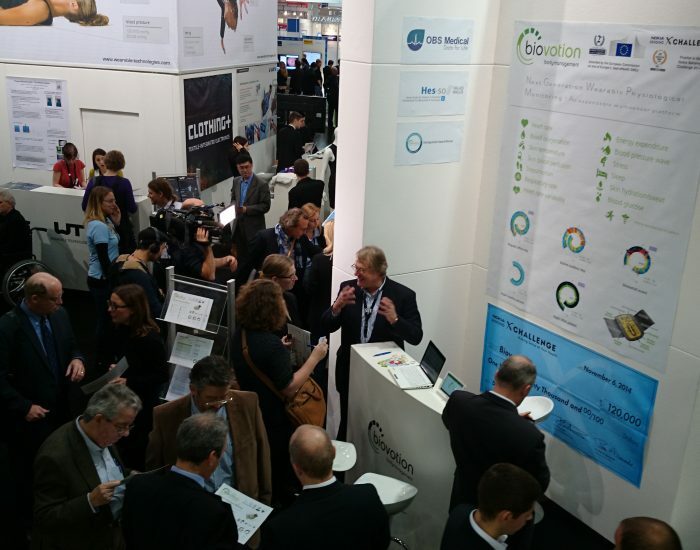 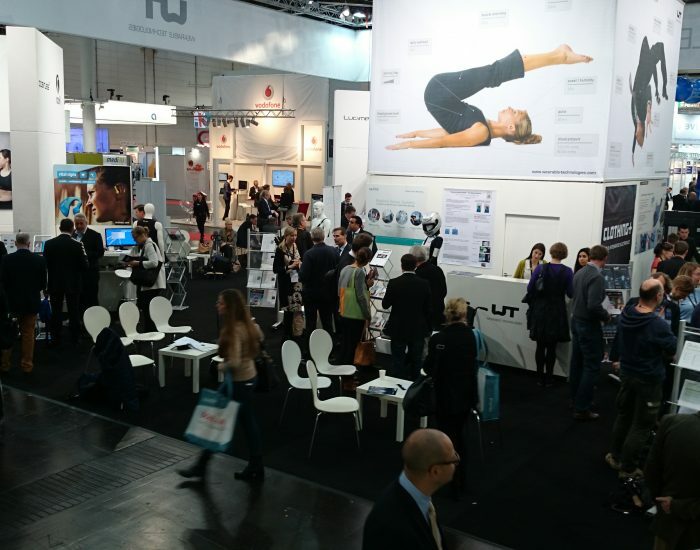 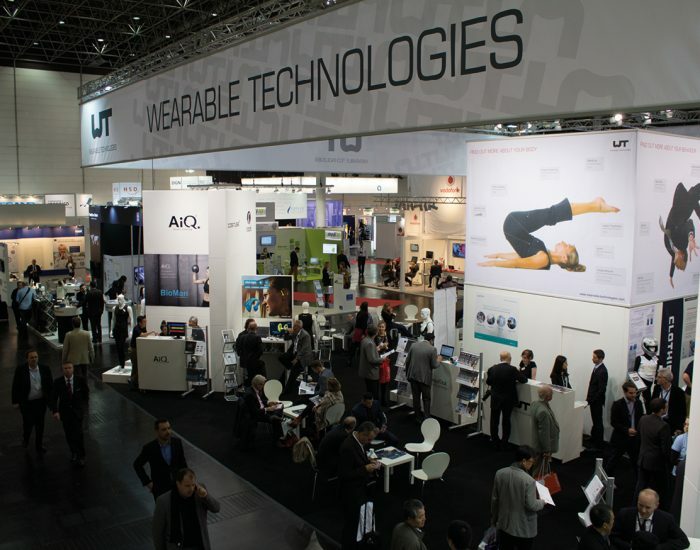 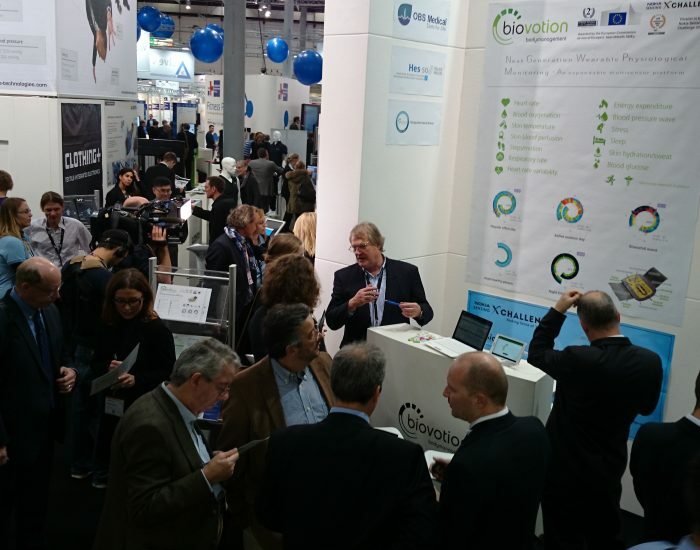 Several Wearable Technologies exhibitors were also featured in the unique MEDICINE + SPORTS Conference at Medica. 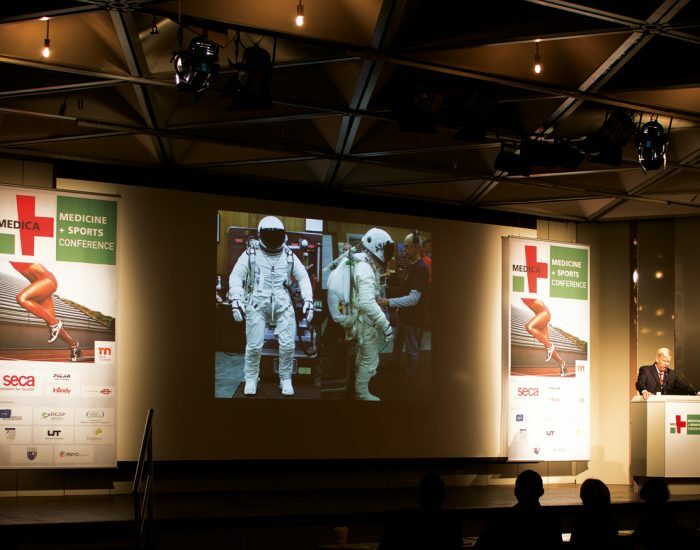 The who is who in sports performance and vital data monitoring like Prof. Dr. Tim Meyer, physician to Germany’s national football team, or Prof. Jonathan Clark, medical director of the Red Bull-Stratos project, provided visitors with exciting insights into the latest methods used in performance diagnostics and sports medicine. 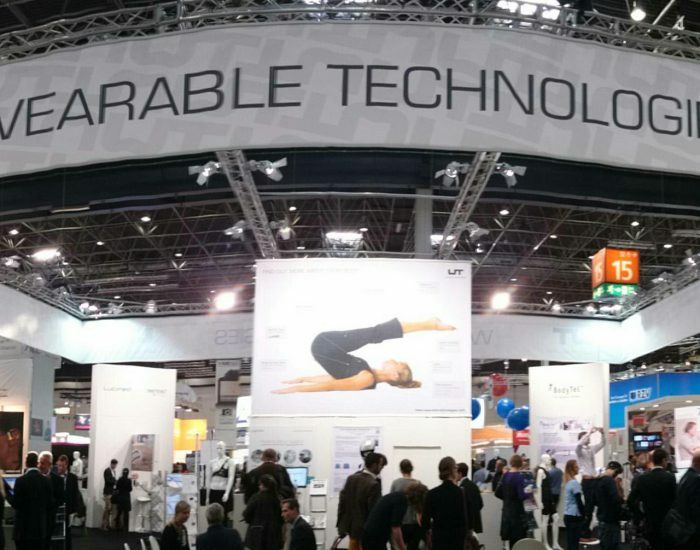 Besides being the B2B marketplace for wearables at the tradeshow the WT | Wearable Technologies booth was a magnet for prestigious media. 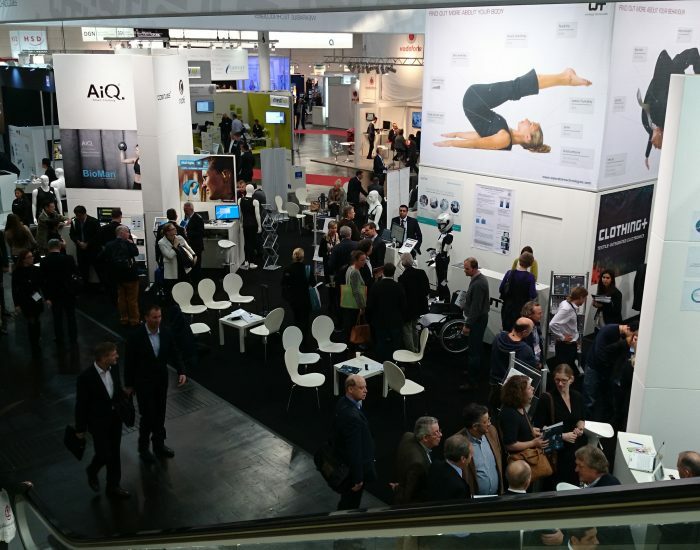 We already look forward to next year’s show which will be taking place from 16-19 November in 2015. 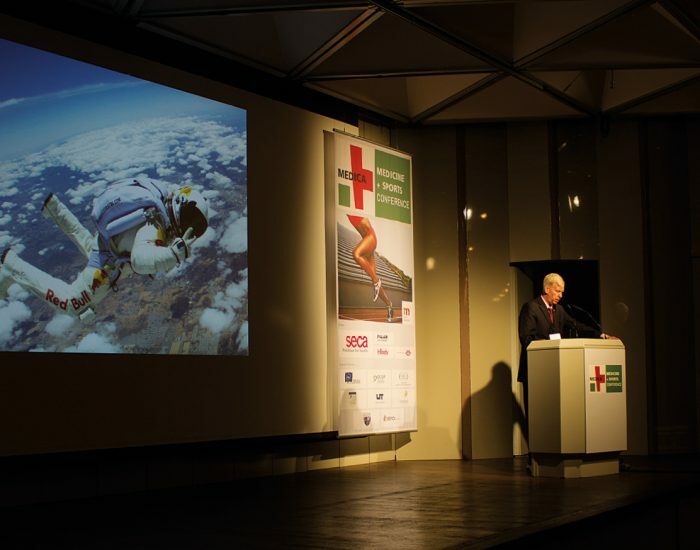 Contact us in case you would like to be part of the event next year! 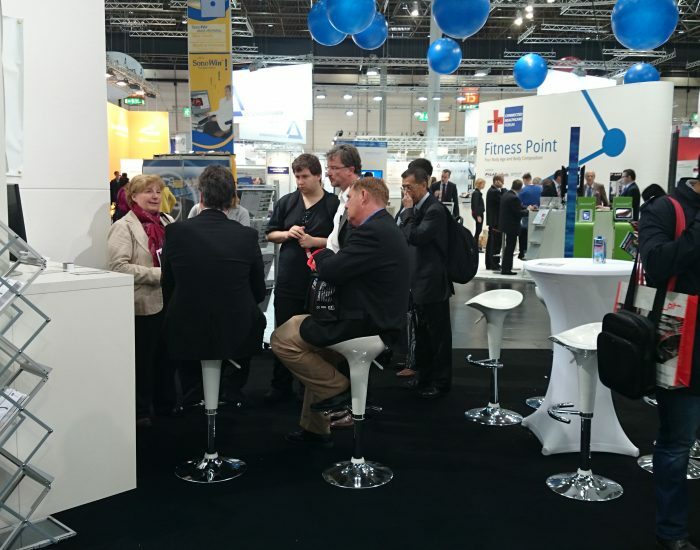 Previous articleThese shoes are made for walking… and a lot more!